LTB2013 business summit shows that the popular image of the unemployed hareidi is far from how things can be. 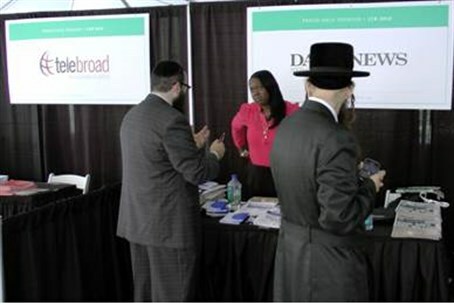 The LTB2013 Business Summit, which bills itself as the North American Jewish community’s “first-ever, large-scale business event fusing together knowledge, resources and opportunities,” was held Tuesday at the Dyker Beach Golf Club in Brooklyn. Shlomo Weissman, VP for Marketing Communications of Fidelity Payment Services, explained that the event is a “crucial” one. The hareidi commmunity has a very high level of enterepreneurs, he said, but a very small number of people with actual business experience. “We're very driven,” he said, and events like LTB2013 will help propel them to higher levels. It's “the start of something huge,” he predicted.